Do you remember this, this and this? 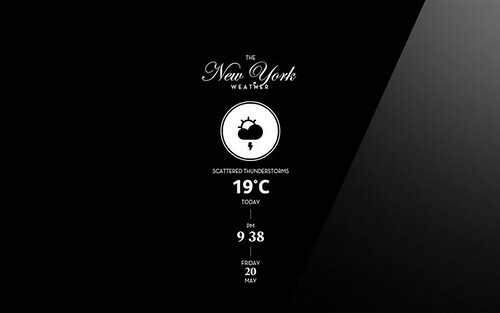 Well, I have another design-y screensaver for you: the Weather screensaver created by Stefan Trifan. 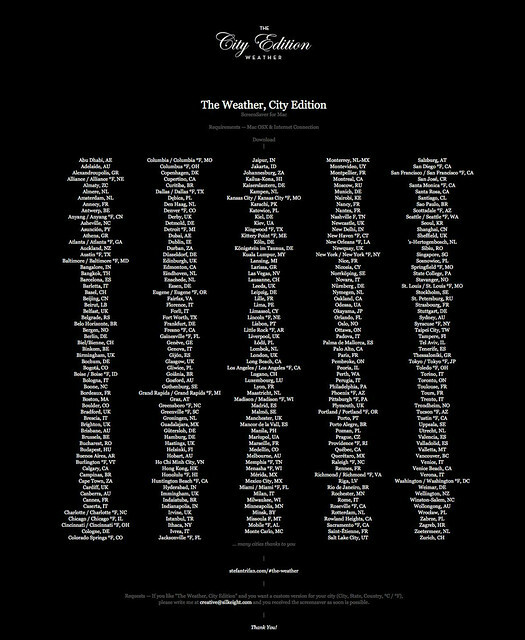 It is simple and beautiful and covers a huge number of cities from all over the world so you are sure to be able to find your local weather. Though only for Mac users at the moment, I am happy to report that it is free! Learn more and download it yourself on Stefan's website here. p.s. Along with this, this weather screensaver is totally making checking the forecast in the morning much more fun!